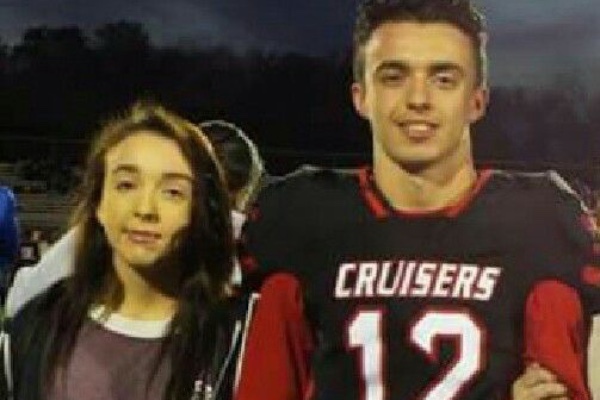 Kyle Nester is a senior at Groveport Madison HS and is taking guardianship of his sister Madison , who is a freshman at the same school, as their Mom passed away on Thursday. The kids lost their father 14 months ago as well. Anything helps them! It takes a village and Kyle is stepping up in a big way for his sister. There was no insurance policy and there will be a celebration of life ceremony when the young adults are ready. Thank you all for your support so far for these young people who have a long road ahead of them. Please know that their parents would have done nothing less then the community is doing for them, for any of our children. They were both wonderful people and they loved Kyle and Madison immensely. Roy was a coach for GMYA football league as Kyle was growing up therefore impacting many young men in the community. They lovingly referred to him as "Father Roy". Tammy was also very present, she was the typical "sports mom" () and my friend. Kyles willingness to step up for Madison is just a piece of the goodness they instilled in their children and they would be so pleased. 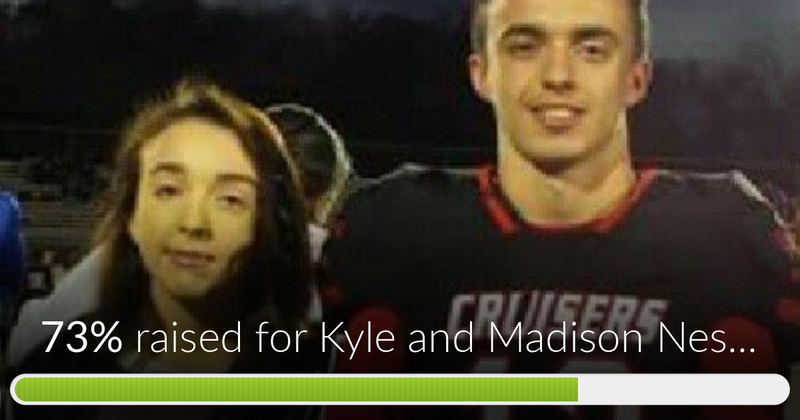 Thank you to everyone that has donated to Kyle and Madison. Your good deed will not go unnoticed! I dont think that deleting the campaign at 9,999 is a good idea. So what if the money becomes taxed. Just find a trusted accountant and pay them to figure it out. He is going to need all the money he can get to get through the next few years especially if they both want to go to college. The money will hwlp pay for housing food shelter, possible medical expenses etc. creating another account in the grandmothers name you will still have to stop at 9,999. I am hoping they get enough money to get them through the next 4 or 5 years. If you both ever want a place to celebrate holidays and school breaks, my family would welcome you anytime. Sending you much love from Memphis, TN. Your parents raised a a fine young man! I wish you're hole family nothing but the best! I lost my parents 15 months apart; 2015 and 2016. I felt this wasn't fair and my brother and I were too young. But this absolutely breaks my heart for you two. I hope you both lean on each other in the days and years ahead and don't ever feel that you're alone. Bless you Jesus we pray. When things seen unbearably and notbing else is helping, turn to a man name JESUS. He's always there for you. Much love. I am not a tax professional but I am fairly certain there is a $14,000 exemption for gifts PER DONOR - there should be no taxes on any gifts so long as no individual donation exceeds that amount. Even if any donations did exceed this amount, the tax liability would fall to the donor, not the recipient. Please double check with a licensed tax professional to make sure, but you should be in the clear to keep 100% of the proceeds here. Best wishes and stay strong. Prayers with this young man and his sister !! Great parents ! My thoughts and prayers are with them both. Having lost both of my parents suddenly less than a year apart, I know their pain. Please let them know that they are not alone in their feelings and my prayers are with them. Kyle, you can do it! My brother did it for me. Was my guardian after my dad passed away. I'm not going to lie, it wasn't easy but the good times outweighed the hard times. I have faith in both of you. Wishing both of you the best. May God give you strength, wisdom and faith throughout your journey. You and your sister will forever be in my prayers..
My heart goes out to you both. I cannot fathom at my age to lose both my parents and at your age it must be beyond anything you ever fathomed. I don't know your family situation but hope you have peeps in your area you can rely on. My first thought was to see where you were located as if you were near Southern California I would have offered you a place to live with my young adult daughter, me and our own dogs and our fosters. Sadly you are no where near me but should you ever be in the Orange County, CA area and be in need of contacts, please PM me. My heart breaks for both of you and I sincerely hope you receive the help you need. Be strong and honor your parents through love, hard work, and make a difference in the world!